3 Bedroom Semi Detached House For Sale in Luton for Offers Over £300,000. This traditional family home is offered chain free and occupies a generous size plot that comes with the added benefit of having a detached garage to the rear. 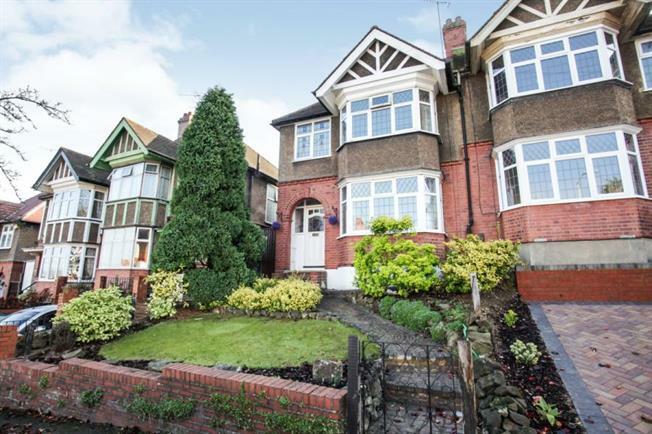 Located on the highly desirable Cutenhoe Road the property now comprises from a bay fronted living room which can easily be used as a bedroom, modern kitchen, separate dining room, three spacious bedrooms and a refitted family bathroom. Externally there are well maintained front and rear gardens. The property also offers easy access to the M1 and is in close proximity to Luton town centre.